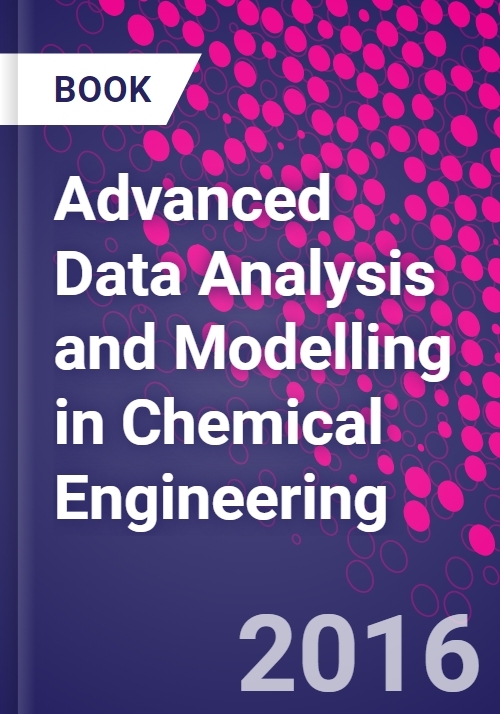 Advanced Data Analysis and Modeling in Chemical Engineering provides the mathematical foundations of different areas of chemical engineering and describes typical applications. The book presents the key areas of chemical engineering, their mathematical foundations, and corresponding modeling techniques. Modern industrial production is based on solid scientific methods, many of which are part of chemical engineering. To produce new substances or materials, engineers must devise special reactors and procedures, while also observing stringent safety requirements and striving to optimize the efficiency jointly in economic and ecological terms. In chemical engineering, mathematical methods are considered to be driving forces of many innovations in material design and process development. Denis Constales is an applied mathematician who has been working in chemical engineering and statistics for the past 12 years, specializing in diffusion problems, parameter estimation and inverse problems, chemical kinetics, reaction mechanism identification, and nearly all aspects of the Temporal Analysis of Products method. Gregory Yablonsky has been involved in mathematical modeling of chemical processes, in particular processes of heterogeneous catalysis, for over 30 years. He is an author of more than 200 papers and 6 books on these topics. J W Thybaut holds a PhD in chemical engineering (2002) and is currently associate professor in catalytic reaction engineering. His research activities are centered around fundamental kinetic modeling of complex reactions and the exploitation of these models aiming at rational catalyst design as well as at industrial process enhancement. Guy B. Marin is professor in Chemical Reaction Engineering at Ghent University (Belgium) and directs the Laboratory for Chemical Technology. He received his chemical engineering degree from Ghent University in 1976 where he also obtained his Ph.D. in 1980. He previously held a Fulbright fellowship at Stanford University and Catalytica Associates (USA) and was full professor from 1988 to 1997 at Eindhoven University of Technology (The Netherlands) where he taught reactor analysis and design. The investigation of chemical kinetics, aimed at the modeling and design of chemical processes and products all the way from molecule up to full scale, constitutes the core of his research . He wrote a book "Kinetics of Chemical Reactions: Decoding Complexity with G. Yablonsky (Wiley-VCH, 2011) and co-authored more than 300 papers in international journals. He is editor-in-chief of "Advances in Chemical Engineering, co-editor of the "Chemical Engineering Journal and member of the editorial board of "Applied Catalysis A: General and Industrial & Engineering Chemistry Research. In 2012 he received an Advanced Grant from the European Research Council (ERC) on "Multiscale Analysis and Design for Process Intensification and Innovation (MADPII). He was selected to deliver the 2012 Danckwerts Memorial lecture. He chairs the Working Party on Chemical Reaction Engineering of the European Federation of Chemical Engineering and is "Master of the 111 project of the Chinese Government for oversees collaborations in this field.